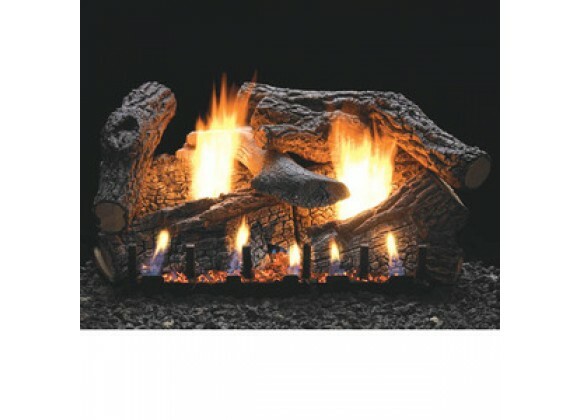 Super Sassafras Gas Logs - Vent Free With Slope Glaze Burner. 7 Piece Charred Log Set. Variable Control Sets Include A Two-Button Remote Control To Adjust The Flame Height From Low Glow To Full Flame Fire.